The image of earth is on the hands of every individual! Without discovering the tropics and rediscovering the temperates acting as world or any country leader is neither civilized nor scientific. But, discovering the tropics and rediscovering the temperates are very simple.Because the knowledge of realities have no power hiding themselves. For example, English is not time. Because it does know neither Pagume nor 12 months of 30 days.But Pagume does use English to reveal the tropics compared to the temperates. Therefore, it is 5 or 6 faster rotation of the tropics, when 6 to 10 or 11 of September is slower rotation of the temperates. Ethiopia cannot have its own calendar. The tropics that cover about 26.11% of our planet earth remain undiscovered. The tropics is undiscovered, because both use of Ethiopian calendar months only in the current Ethiopia and Gregorian calendar months in the tropics are unrealistic. Use of Ethiopian calendar only in the current Ethiopia is unrealistic, because the circumference of current Ethiopia cannot cover 24 hours (half part of Ethiopia is day and other half part is night). 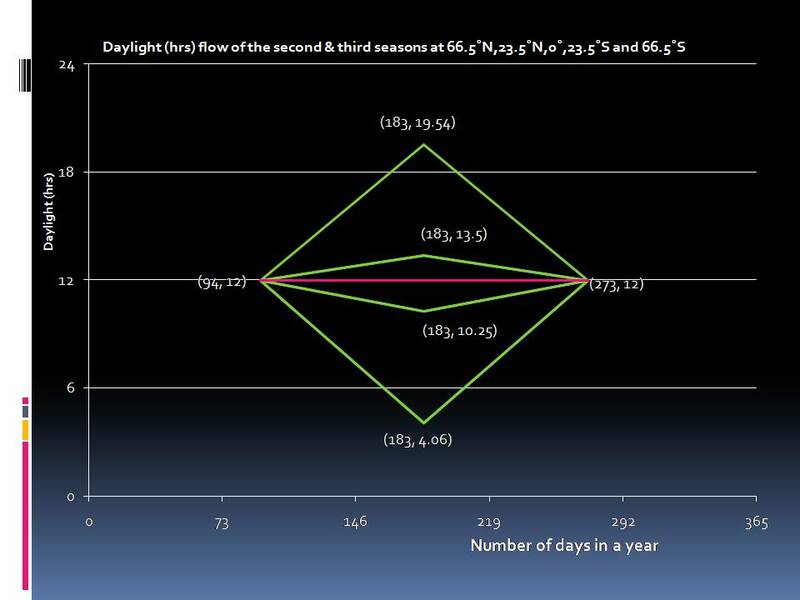 Use of the Gregorian calendar months in the tropics is unrealistic, because longer variations of day and night and extreme seasons of the temperates which are revealed by the Gregorian calendar months were/are/will not recur in the tropics. Three category of four Pagume 6 is called one day ( 24 hours). Discovering the tropics and rediscovering the temperates are very simple.Because the knowledge of realities have no power hiding themselves. For example, English is not time. Because it does know neither Pagume nor 12 months of 30 days.But Pagume does use English to reveal the realities of the tropics compared to the temperates. Therefore, it is 5 or 6 faster rotations of the tropics, when 6 to 10 or 11 of September is slower rotations of the temperates. Tsedey,Kermit and Metsew do in the south tropic. Summer, Kiremt, Bega and winter are the first quarter year seasons of north temperate, tropics, south tropics and temperates respectively. hi,how are you? btw could you please tell me what kiremt and bega mean? Kiremt and Bega are the seasons of the tropics when Summer and Winter do the same of the temperates. Summer, Kiremt, Bega and winter are the seasons that recur in north temperate and tropic and south tropic and temperate respectively.The coverage of the first quarter season is about 94 days. For the tropics it covers from end of Sene 14 to Meskeram 13, when from end of June 21 to September 23 for the temperates. iffat suchona let me share you basic points about my discovery as follows.When Summer, Autumn (fall),Winter and Spring recur in the north temperate, Winter, Spring, Summer and Autumn do in the south temperate.This shows that both western and eastern world do know nothing about the seasons of the tropics. When Kermit, Metsew,Bega and Tsedey seasons do recur in the north tropic, Bega, Tsedey,Kermit and Metsew do in the south tropic. Therefore; for example, the first quarter seasons of our new world are Summer, Kermit, Bega and Winter in the north temperate, tropic and south tropic and temperate respectively. wow…you r so genious. now this geographical thing is starting to attract me! I thank you! Please teach others you are one who work with me and invite others to join us. A digital age world cannot be affected by sun set (old fashion) knowledge. Nothing is impossible about discovering the tropics and rediscovering the temperates because the power is on the universal hands of the day Pagume 6. Yes, it is true education is the path to success. How does one measure success…?? The youth of Pakistan is still optimistic that they will see a better tomorrow. Without discovering the tropics and rediscovering the temperates acting as world leader is neither civilized nor scientific.Universal education is power to discover the undiscovered. Education is not the path to success, again by what methods does one measure success???? Robert Knight, I do like your debate. “Universal education is power to discover the undiscovered”. When the undiscovered is discovered the benefit of it is too many. Without education both discovering and innovation are unlikely. These who are innovators and discovers are successful individuals who may benefit financially, global recognition and advancing civilization and science to the highest level. Again by what methods does one quantify / measure success…. just because someone reads a book does not make them successful or an innovator.. Although we are living in a digital age, about 26.11% of our land is called the tropics remain undiscovered. The tropics covers part of earth found between tropic of Cancer and tropic of Capricorn. It remains undiscovered because both use of Ethiopian calendar only in the current Ethiopia and Gregorian calendar in the tropics are unrealistic. Therefore, in a digital age, use of Ethiopian calendar in the tropics and Gregorian calendar in the temperates are natural and scientific to discover the tropics and rediscover the temperates. To come up with this new world discovery and rediscovery, I used 1) 68 years data of Ethiopian calendar and Gregorian calendar; 2) one year period from end of June 21 to June 21 for the temperates, and from end of Sene 14 to Sene 14 for the tropics. Thus relative and comparative analyses of them were made. Use of information technology in my discovery is great. So I inquire all members of my circles to participate actively to the realization of my discovery and rediscovery.